We covered the slew of updated features that were introduced in Chrome OS 70 first in the Dev Channel. The majority of these updates affect tablet mode in general, which isn’t a big surprise given what we are expecting to see at Google’s hardware event just a couple weeks from now. Knowing that we’re about to see the latest tablet attempt from Google in just a couple weeks, it makes perfect sense that all these new tablet features would be making their way down the channels as we get closer to ‘Nocturne’s launch. However, many times we see features get nerfed or simply left in development for months on end, never escaping the Developer Channel at all. Instead, it seems all the features we were so excited by in Chrome OS 70 in the Dev Channel have all made the migration to Chrome OS 70 in Beta. For general users, this is FANTASTIC news as you can start using tons of the new, upcoming features on your Chromebook without the jank that comes along with the Dev Channel. Don’t get me wrong, you’ll have bugs here and there in Beta, but usually the experience is good enough to use it as your daily driver. Have a look at the video below that lays out all the cool, new stuff that showed up not long ago in the Dev Channel. Here’s a quick rundown of all the new stuff that we loved in the Dev Channel. Keep in mind, this list is by no means comprehensive. I’m sure there are other new features we’ve not found yet, but here are the highlights. Again, this isn’t comprehensive. These are the big overview pieces, though, and the changes are substantial when compared with Chrome OS 69. One other point I want to highlight, here: that final bullet point is going to be a HUGE deal for ‘Nocturne’ as we’ve seen this device will clearly be a tablet with optional keyboards from third parties and ostensibly from Google, too. Before this update, tablets and/or convertibles in tablet mode did not play well with extended monitors, keyboards and mice. The problem, then, would be trying to use a tablet as your desktop replacement. With the old setup, it simply wasn’t possible. 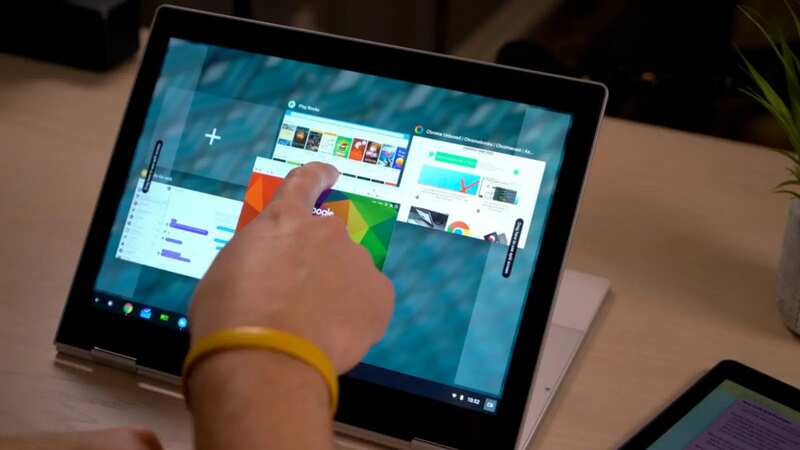 However, with the new way Chrome OS handles this task, you could easily be productive with a Chrome OS tablet. Trust me, assuming ‘Nocturne’ is all we are expecting, this guy will be operating from Google’s first Chrome OS tablet on a daily basis. With that in mind, I’m pretty excited to see all these great new features making a B-line for the Stable Channel sometime in October, just in time for all the new hardware.